Extends WooCommerce. 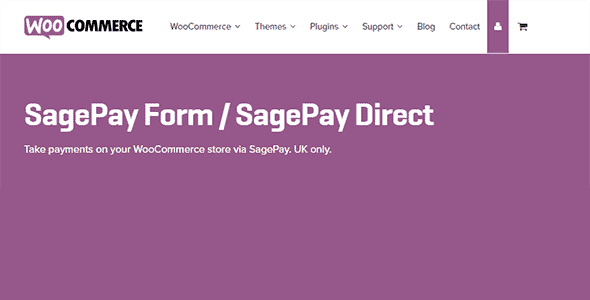 Provides a SagePay Form / SagePay Direct gateway for WooCommerce. When using SagePay Form, the customer is taken to SagePay to make a secure payment. Because SagePay handles the payment process for you, no SSL certificate is required on your site. After the customer completes payment, the order is confirmed and the user is taken to the Thank You page on your site. When using SagePay Direct the customer stays on your site for the entire transaction, so an SSL certificate is required.